Business has suddenly picked up for Sialkoti sportswear manufacturer Mohammad Waseem*. His secret? 3D printing. “We are using 3D printing to improve our product designs. We are now able to send accurate product samples to our overseas clients,” Waseem says. The city of Sialkot houses Pakistans sports goods industry. Some manufacturing is set up as a cottage industry, drawing entire families in the trade. Other manufacturing is medium and large-scale. Together, Sialkots sports goods industry contributes the second-largest share in revenue for Pakistan. For men like Waseem, 3D printing has provided a leg up. Whereas once the process of enlisting a client and procuring orders was lengthy and often imprecise, 3D printing has enabled Waseem to send an exact sample of what the client will get in return for their investment. When dealing with an overseas client, such precision is often profitable. Waseem attributes much of his success to 3dprint.com.pk — a Lahore-based company that describes itself as “Pakistan’s first 3D Print House”. This company has been researching and developing racing motorcycle boots and shin pads in flexible materials — all of which promise to boost Pakistans economy. 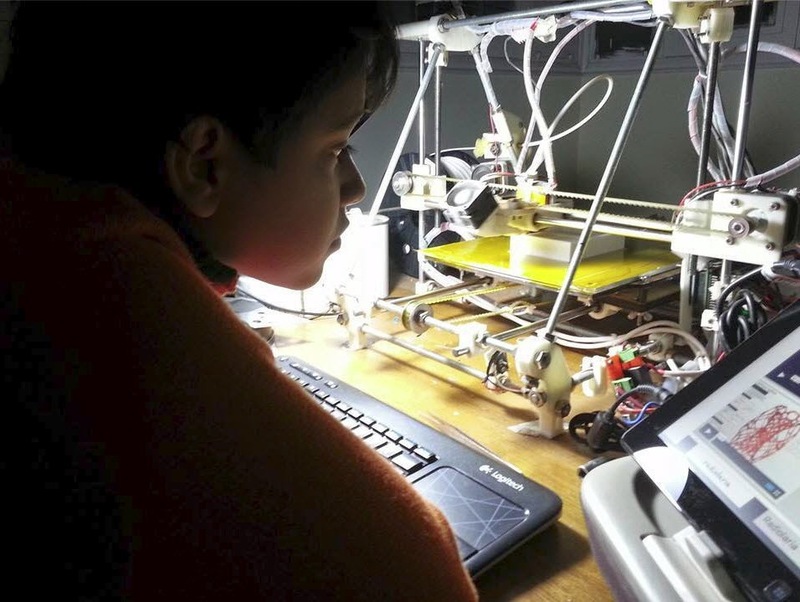 According to Omar T Aslam, director at 3dprint.com.pk, Pakistan has a rich tradition of manufacturing but lacks high-end technical skills and resources for 3D printing that could push the industry to the next level. “3D printing technology can, and often does, reduce time and cost to market by 50 percent,” argues Aslam. And it’s not only the sports goods manufacturing sector that has employed 3D printers. Aslam claims that his clients include those from the medical, industrial tooling, and automotive sectors as well. There They are 3D printing master patterns for foundries, which include tooling for water pump manufacturing. Then there is 3D modelling of construction projects for architect firms. But the one that stands out the most is reminiscent of Will Smith’s I Robot-like 3D printed robotic arm, which was built for a NUST student’s final-year project. The way 3D printing technology is progressing, it is evident that the new industrial revolution is here. From printing trinkets to fully functional, living human organs; the potential of this technology is endless, restricted only by the limits of our imagination. Oh, and do you know what else you can make with a 3D printer? A 3D printer. They can be used to replicate themselves. Using something to make anything — now that’s something we definitely never thought was possible. A video for you, RH Sb. At present, in the world we have seen various types of 3D printing strategies; the fundamental procedure is comparatively consistent from one to consequent. In additive manufacturing, three-dimensional objects are created from a material in either liquid or particle type. I see that you describe very clearly about 3D printing and 3D printing materials. Click here Best 3D printer manufacturer company in China. It is bitter truth that there is a ban in importing a 3D printer in Pakistan by ministry of defense. According to them 3D printer can be used for manufacturing weapons but they don't bother to investigate the different categories of printers. The jewellery industry in our country has much demand of it to boost the business and economy. As embedded system engineer I tried to import DLP printers in Pakistan in legal way and give the customers both technical and parts warranty support but all efforts goes in vein. Though already we have some 3D printers working in jewellery workshops and can not be used in making weapons as there is a big technical problem doing it so. The build plate form is very small which only prints small jewellery parts around 2x1.5x6 inches. The output of print is wax which is soft and used for lost wax casting. There are some illegal importers which are active by using bribes raising the price of the printer to 2.5 times the actual price. I realized the reason why every engineer of Pakistan has first priority to leave this country. There are many weapons factories already in our country and 3D printer is not the machine that invented weapons and are mandatory for making them. We can use conventional mechanical CNC machines to make pistols, why they stupid concern people don't ban them. The federal government will provide Rs900 million in the next three years to the NED University for completing new mega projects being initiated at the university, said Federal Minister for Planning and Development Ahsan Iqbal on Wednesday while inaugurating the Advanced Material Testing Laboratory at the Department of Earthquake Engineering, NED University of Engineering and Technology. He said the federal government had adopted an important policy to upgrade all engineering universities of the country and different projects had been initiated at these universities across the country. Quoting the figures of increase in grant, he said the increment showed that the party was working in the right direction and following the indicators set for its vision 2025, through which it wanted to establish “knowledge economy”. Ahsan Iqbal expressed that he was impressed with the standard of education being provided at the NED University and believed that its students could participate anywhere around the world. He congratulated the faculty and staff for preparing students to face challenges in their lives. The PML-N leader also assured the government’s support to universities which would play any role in national development. The federal minister claimed that all efforts would be carried out to eradicate terrorism from the country.